Available year-round and in any weather conditions, we offer a complete range of roofing and building envelope services to protect and beautify your home or business.A leader in Toronto roofing for over 4 decades, Alpine Roofing has built a foundation for success on fair pricing, professional workmanship and the use of high-quality materials. 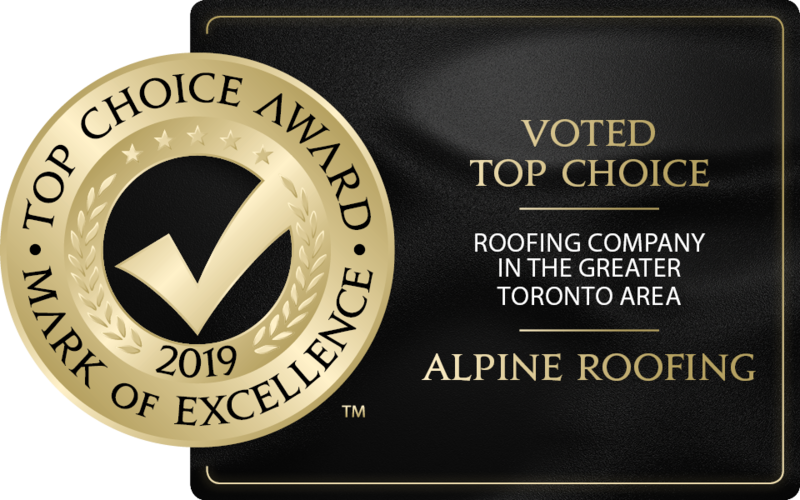 Our reputation for superior roofing in Toronto and the GTA has made us a preferred contractor for clients of all types, including business owners, property managers and homeowners. Email us at service@alpineroofing.ca for any question you may have, or fill our contact form , or press the “Free estimate” button! Alpine is your guarantee of price, service and quality!